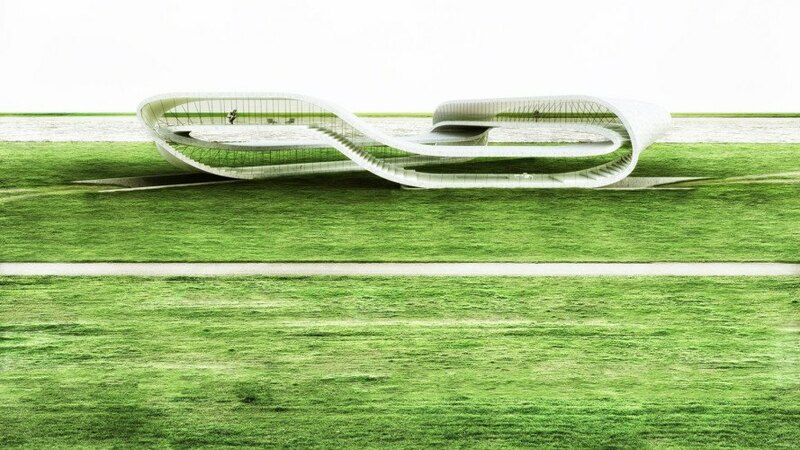 Back in 2013, Dutch architect Janjaap Ruijssenaars of Universe Architecture revealed an ambitious goal: to 3D-print a house in the shape of a Möbius strip. Ruijssenaars has taken another step towards transforming that vision into reality, recently revealing the 3D-printer he will use to create the ‘endless’ Landscape House. As a result of using the 3D-printer instead of other construction techniques, the house will reportedly be more environmentally friendly. Ruijssenaars said of his building’s design, “Planet Earth doesn’t have a beginning or an ending and we were looking for a shape that has the same quality.” He settled on a Möbius strip to fulfill his vision for a house without beginning or end. Mathematician Rinus Roelofs helped with the design. Now the team has unveiled the 6.5-foot 3D-printer invented by Enrico Dini to fabricate Landscape House. The D-Shape printer can print squares that are close to 20-feet by 20-feet. Universe Architecture teamed up with construction company BAM to test the printer in an Amsterdam warehouse. Rutgerr Sypkens of BAM told AFP the 3D printer should allow them to print faster and should make less mistakes as well. He said the printer will allow the house to be more “environmentally friendly” because it will utilize less materials than standard construction. Ruijssenaars 3D-printed a bench shaped like the future Landscape House; it was installed in Amsterdam earlier this year. The scale of the bench is one fifteenth of what the future structure will be. If all goes according to plan, the Landscape House will comprise 12,000 square feet. Universe Architecture hopes the building will be used to house sculptures or other artwork. They aim to launch the house as an expo space in Amsterdam in 2017. Dutch architect Janjaap Ruijssenaars of Universe Architecture is working on a 3D-printed house. 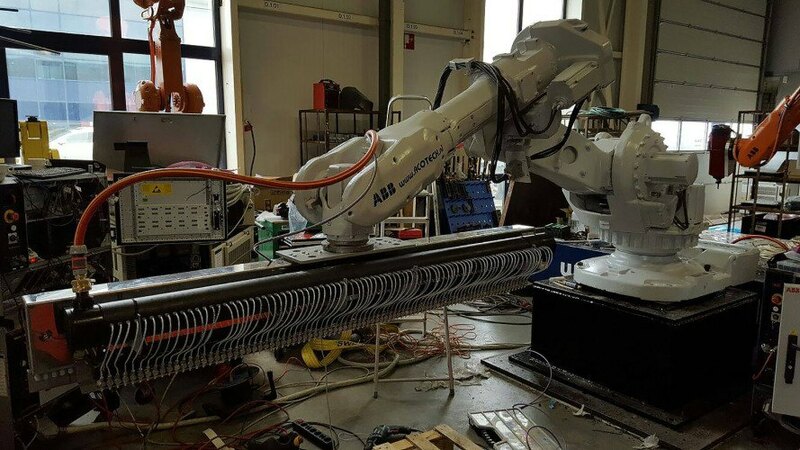 His team has unveiled the six and a half feet long 3D printer. He also 3D-printed a bench in the design of the future Landscape House that will be installed in Amsterdam. The house, to be shaped like a Möbius strip, is intended to be reminiscent of the "infinite" shape of the Earth that has no beginning or ending.